Enlivened by the presence of stars and entertainment personalities, the tradition began in 2008, the 20th year of the Music Museum, when German “Kuya Germs” Moreno invited stars like Gloria Romero to join him in providing Christmas cheer and dazzle at the ceremony. Through the years, young stars like Barbie Forteza, Bea Binene, Jake Vargas, Hero Angeles, and Ken Chan joined Kuya Germs in spreading Christmas cheer to shoppers and mall goers at the Promenade. Every year, the celebrities assemble at the site of the Christmas Switch, put their hands together and press the switch. Immediately, the bright lights of Christmas start to shine all over the place -- as if the stars of the entertainment world lend their sparkle to the Holiday look. This year, stars of GMA’s hit television show Meant To Be Ken Chan, Jak Roberto and Barbie Forteza, including Mark Manicad and John Nite carried on the tradition begun by Kuya Germs. At the flick of the switch, the Christmas lights inside and outside the mall and on the Christmas tree came alive in a blaze of big and little lights, punctuated by transparent Pinoy parols deftly put together by resident artist Francis Dano-og. “I’m so happy to be doing this again. I love the symbolism of the lights going on at the same time to start the Christmas festivities here” said Barbie Forteza, who first became part of the Greenhills tradition when she was just 13 years old. 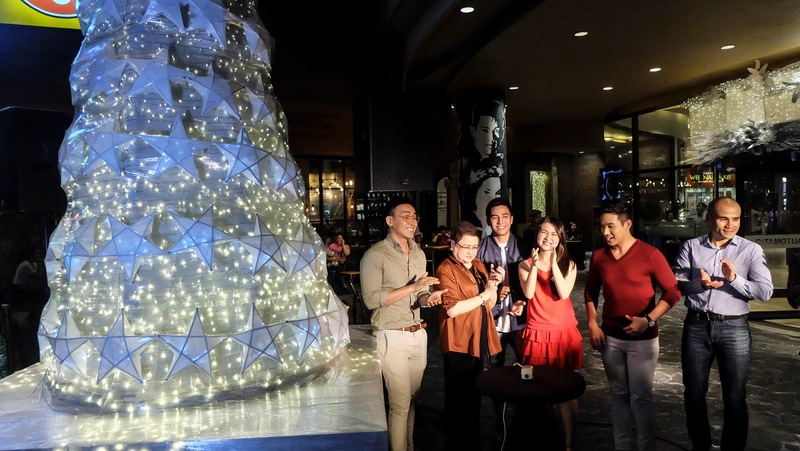 The Christmas Lighting ceremony was led by Music Museum Group President Precy M. Florentino and other MMG officials. The event touched off engaging Christmas activities at the mall highlighted by a Christmas Bazaar at the Missouri area that will go on till December 31. Miss Florentino recalled how Christmas lights are a traditional part of the Christmas celebration and how parols – the traditional Filipino symbols of Christmas – lit the way for country folk on their way to Simbang Gabi. “We want to show that the Christmas spirit is forever alive in us. We want these Christmas lights to provide hope and cheer to our surroundings. Pinoy Christmases are always bright,” she added. For more information about activities, movies, dining places, shops, stores and more at the Promenade and Theater Mall, go to www.musicmuseum.com.ph.